Don’t have a green thumb? No problem! At Green Thumb Hydroseeding, we treat your lawns and gardens like they are our own and bring you the very best in hydroseeding, landscaping, erosion control and lawn and turf repair. At Green Thumb Hydroseeding, we know there is more to lawn care than sunshine and water. In Washington, the seasons can be damp and only certain plants naturally thrive. This doesn’t mean you can’t have a beautiful garden with beautiful gardens. Just leave it to our experts to do the heavy lifting. For over a decade, we have been the premier landscaping company in Indianola, WA, and have countless satisfied customers to show for it. 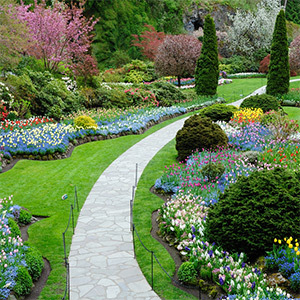 Unlike other landscapers, our gardeners specialize in complicated and intricate lawn services, such as erosion control, turf repair and hydroseeding in Northwest Washington. We are experts in lawn and garden services. We provide hydroseeding and hydraulic mulch seeding. We offer lawn and turf repair. Our prices are affordable and our service is convenient.